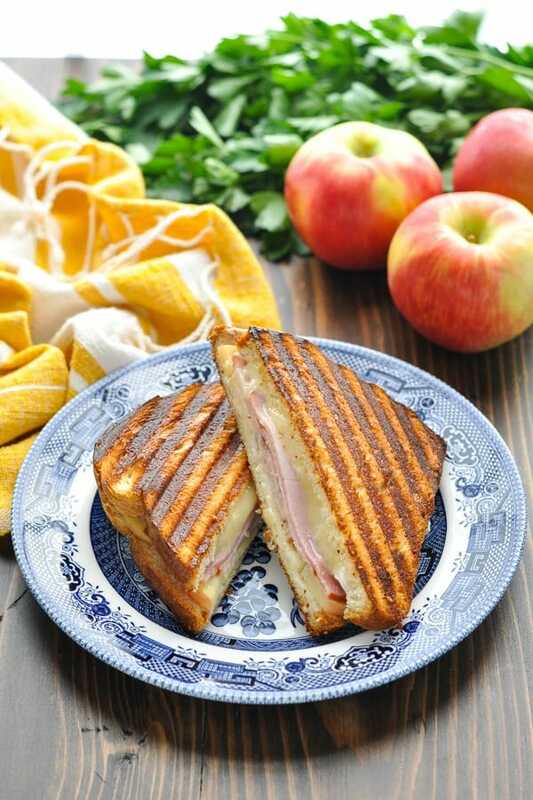 Bursting with sweet-and-savory flavor, this Ham, Brie and Apple Panini Sandwich is a quick lunch or an easy dinner recipe that's ready in less than 20 minutes! 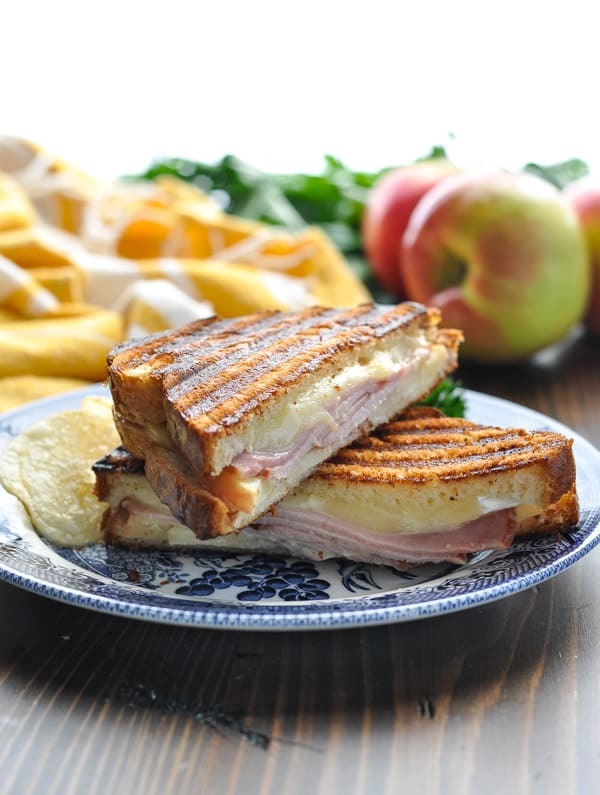 Bursting with sweet-and-savory flavor, this Ham, Brie and Apple Panini Sandwich is a quick lunch or an easy dinner recipe that’s ready in less than 20 minutes! 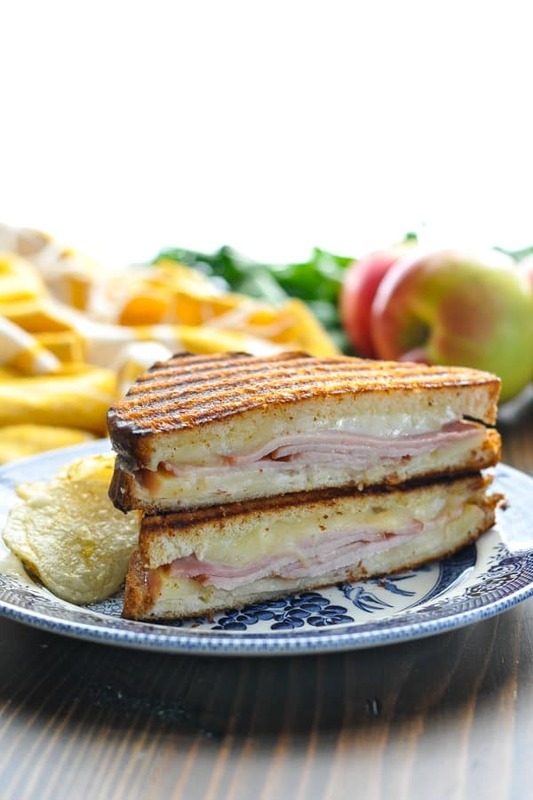 Your family will go crazy for the upgraded version of a classic ham and cheese sandwich! 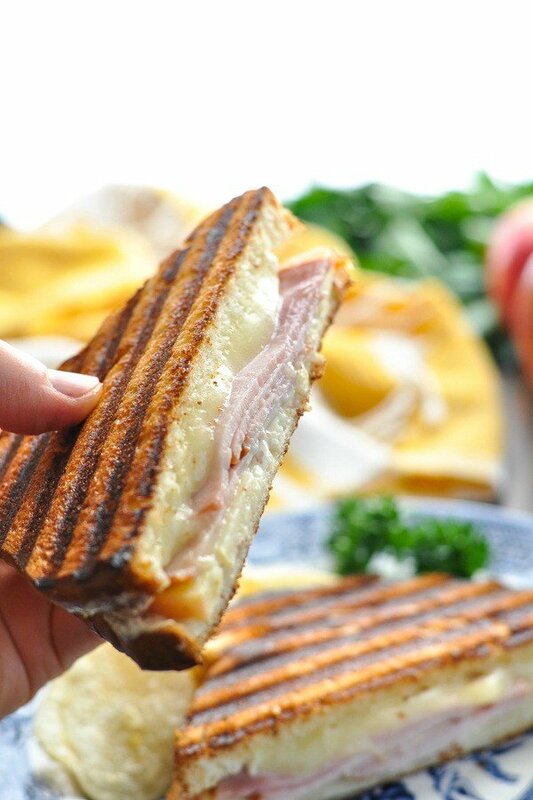 This particular ham and cheese panini is one of the best panini sandwich recipes I have ever tasted! I know that’s a big statement, but it’s very true. I first tried this flavor combination when Keith and I ate lunch at a small art gallery café in Savannah, Georgia over 13 years ago. We were there to celebrate our first wedding anniversary! A lot has changed since then (dogs, 3 kids, houses, jobs, etc. )…but I still remember that panini! What is a panini? What’s the difference between a panini and a sandwich? A panini (or panino) is a sandwich made with Italian bread, usually served warm by grilling or toasting (source). 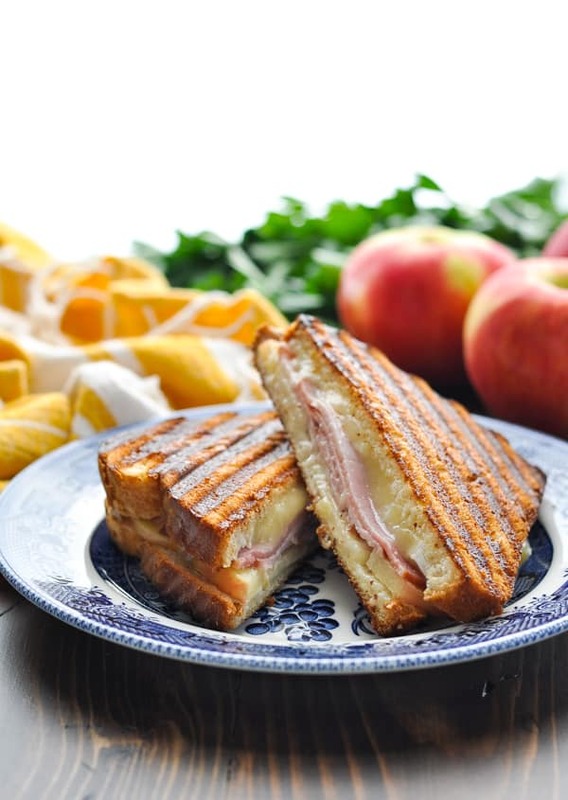 The Italian definition of panini is “small bread, small bread rolls,” but in America this term has come to describe any grilled sandwich made with a variety of different breads. What kind of bread do you use for a panini? While traditional Italian panini recipes use an Italian bread (such as Ciabatta), I’ve made this recipe with many different types of bread — and they all taste great! I prefer a thick-cut, hearty bread that can stand up well to the panini press. 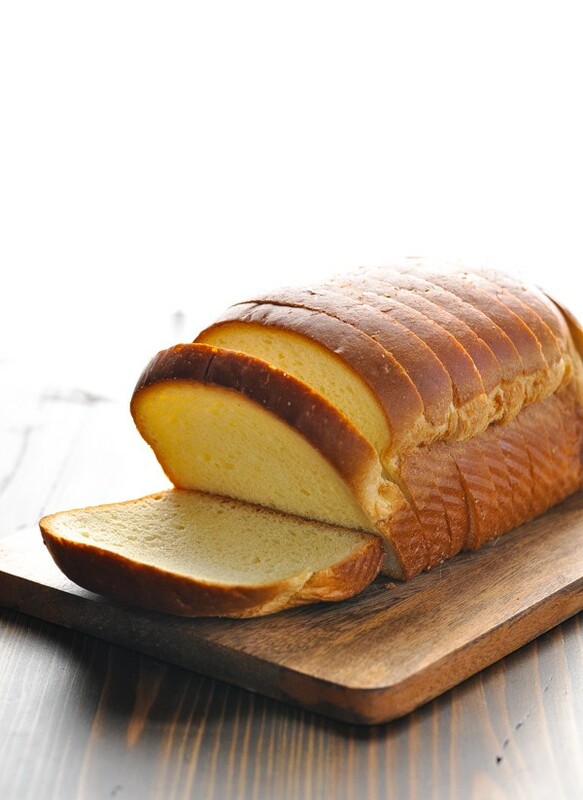 Here I’ve used thick slices of Hawaiian bread (because my boys love it), but a loaf of Italian bread or crusty sourdough bread are also favorites. First, make the creamy honey-Dijon spread by stirring together mayonnaise, Dijon mustard and honey. This sweet, tangy and creamy sauce offers the perfect balance for the rest of the ingredients in the sandwich! Spread the mustard sauce on a slice of bread, and top with apple, ham and cheese. Place the top slice of bread on the sandwich, and toast in a panini press. Can you make a panini without a panini press? Absolutely! If you don’t have a panini press, you can use a grill pan or a large skillet. Just make sure that you flip the sandwich halfway through so that it turns golden brown and crispy on both sides. I like to allow the panini to cool on a cutting board for a few minutes before slicing and serving! What goes with a panini sandwich? Pick your crusty bread — thick-sliced Texas Toast or Hawaiian bread, sourdough bread, ciabatta bread, or a loaf of Italian bread will all work well. 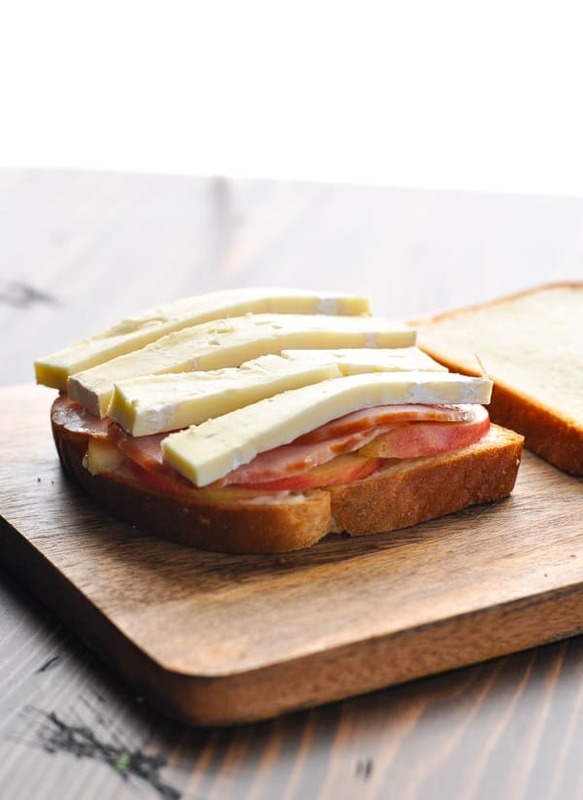 Use any cheese — swap out the Brie and replace it with sharp cheddar, American, Swiss or Gouda! Don’t want to use my honey Dijon spread? Try the sandwich with just mustard, just mayonnaise, or even with raspberry or apricot preserves! Use leftover ham from a previous meal (such as this Virginia Brown Sugar Baked Ham) or buy sliced honey ham from the deli counter — anything will work! Use sliced pear instead of the apple. Swap out the ham in favor of your favorite meat. Use what you have in the fridge! Chicken panini recipes are great, and so are turkey paninis. 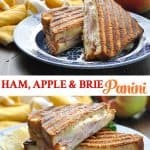 Vegetarian panini recipes can omit the ham and just use the apples and cheese; or swap out the apples and make a roasted vegetable and cheese panini for another delicious meat-free combination. Preheat panini press to 375 degrees. 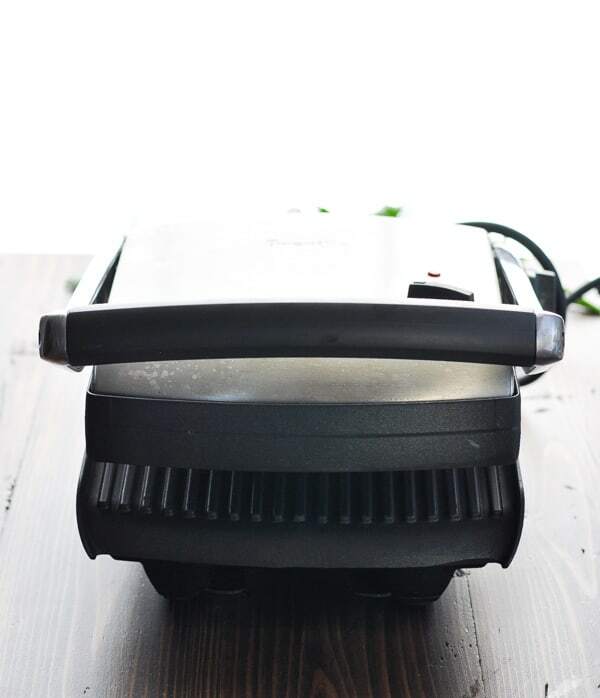 If you do not have a panini press, you can use a grill pan or a large skillet (just be sure to flip sandwiches halfway through cooking time so that they toast on each side). 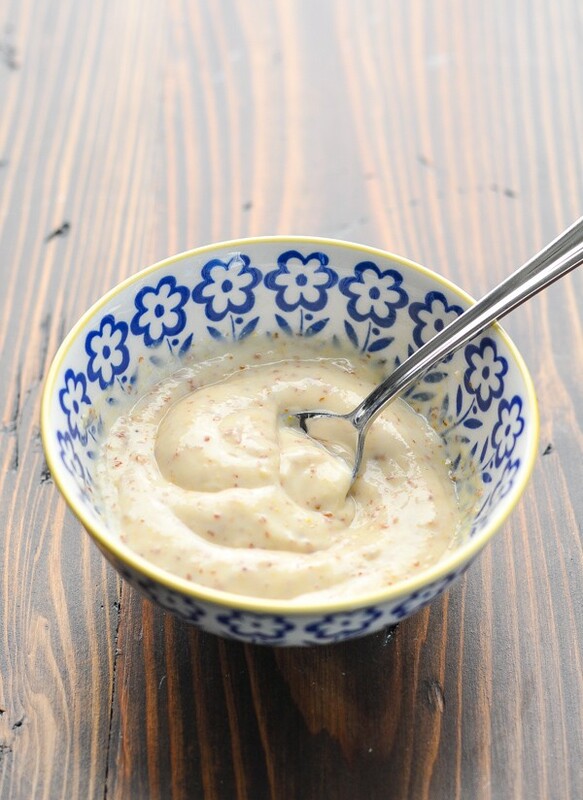 In a small bowl, stir together mustard, mayonnaise, and honey. Spread mixture evenly on one side of 4 bread slices. Top with apple, ham, and then cheese. Top with remaining bread slices. Spread butter on outside of sandwiches (both sides), or brush with olive oil. Toast sandwiches in press until golden brown, approximately 3-5 minutes. Allow sandwiches to rest on a cutting board for a few minutes before cutting and serving. Pick your crusty bread -- thick-sliced Texas Toast or Hawaiian bread, sourdough bread, ciabatta bread, or a loaf of Italian bread will all work well. 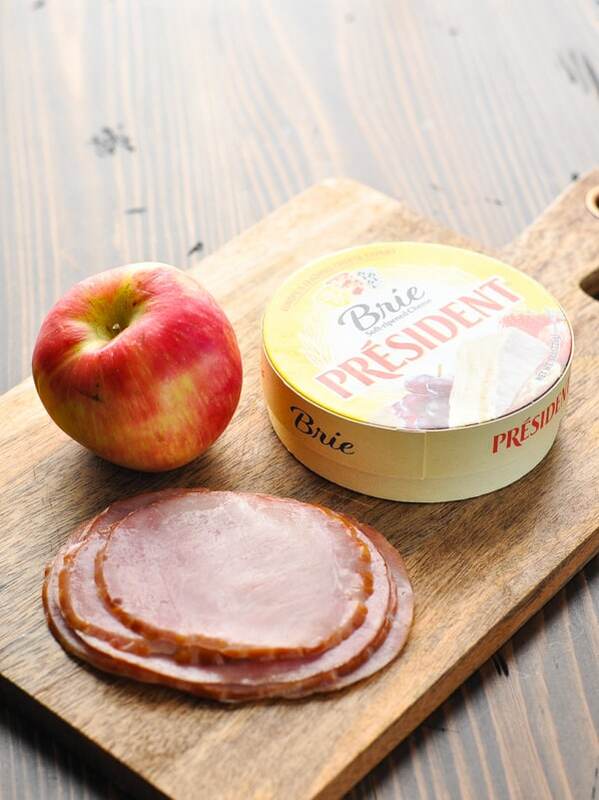 Use any cheese -- swap out the Brie and replace it with sharp cheddar, American, Swiss or Gouda! Don't want to use my honey Dijon spread? Try the sandwich with just mustard, just mayonnaise, or even with raspberry or apricot preserves! Use leftover ham from a previous meal (such as this Virginia Brown Sugar Baked Ham) or buy sliced honey ham from the deli counter -- anything will work! This recipe was originally published in March, 2013. It was updated in March, 2019.